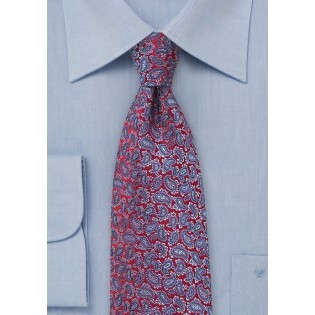 Trust your fate to the capable style of this red, and lavender paisley mens tie. Whether your looking to land a huge business deal, or pop the question to the woman of your dreams, this accessory has your back. Versatile in both pairings, and appropriateness for a variety of settings, this item will give you the confidence you need to execute your objective. 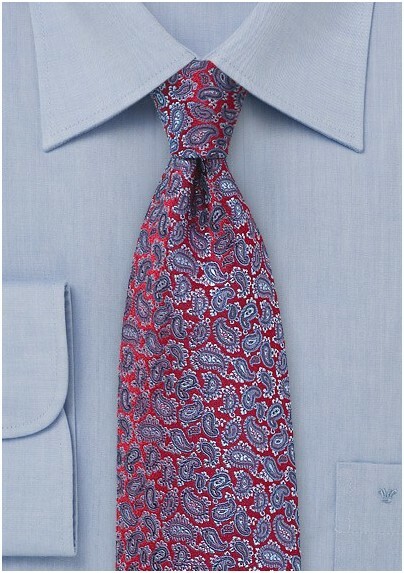 Wear it with a cobalt blue blazer, and you are bound to get a "yes". 100% Silk - Handmade | Length: 58", Width: 3.25"